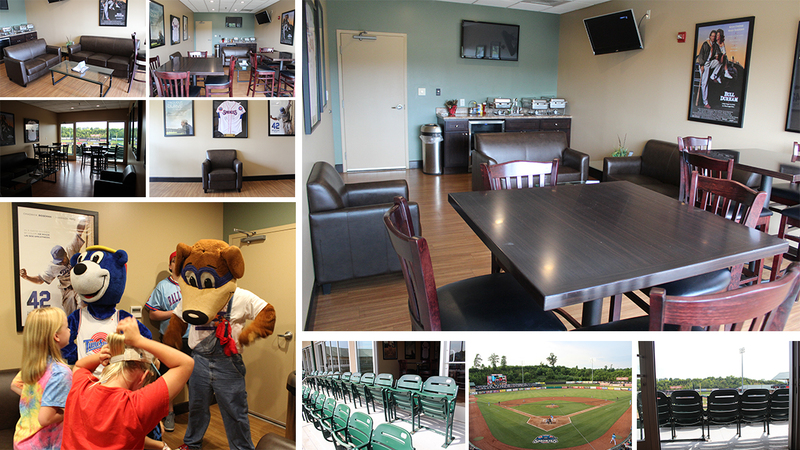 Luxury Suites are one of the most popular ways to host a party or corporate event at Smokies Stadium! Your group can take in the sights and sounds of "America's Friendliest Ballpark" from inside one of our recently renovated, fully furnished Luxury Suites, or enjoy the action from its private balcony. Each climate controlled Luxury Suite comes complete with stadium seating on the private balcony, indoor seating options, hostess service, flat screen TV's, and your choice of one of the several Calhoun's buffet options we offer. 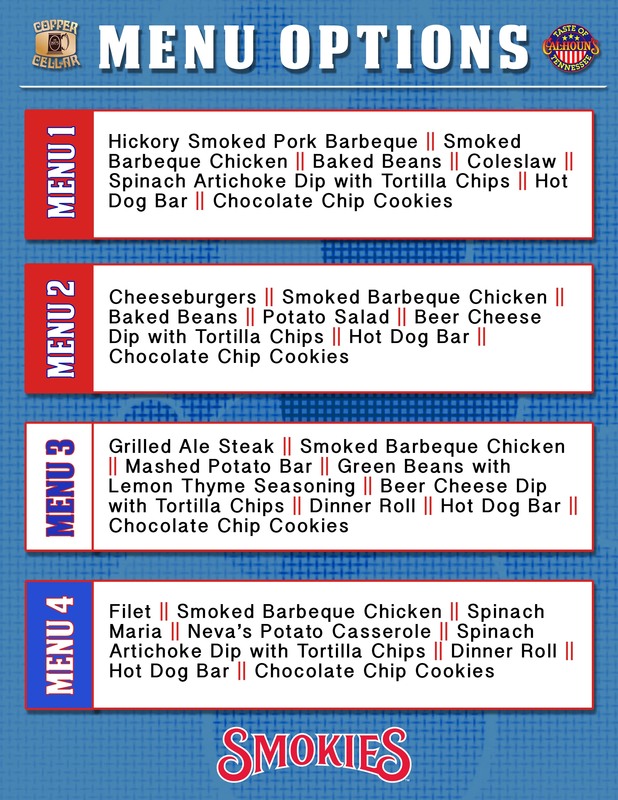 To book your party today email us or call 865-286-2300 to speak to a Smokies Representative. Pricing includes sales tax, but does not include gratuity.